I'm reading "Doting" at the moment! Well, not precisely this moment. I'll set up Tom Green vs Green Gartside on one of the other boards and we'll have a green of greens poll when we've found the best Green(e)s.
i've only read Greene. tho i suspect i'd prefer Green, i'm quite partial to Graham's stuff when i'm actually reading it. then i finish the book and don't bother reading any more of him for 3 or 4 years at a go. Henry Green is a goddamn master. Greene might be more unfashionable from looking at what people read on the tube as evidence he is still way more read than Green. Plus there was that so so adaptation of Brighton Rock a couple of years ago. Totally didn't care for chasing up on the book. Green, well, not many wrote better at the time. Rhys, Woolf or Lowry maybe? Lots to read though, just not Greene. Although idk, is Greene funny? Just need some laughter.. He's a good dialogue writer. Our Man In Havana is very funny but it's the only one I've read and now I'm kinda bummed out to discover it's not all like that. loving was a highlight of a very well-selected modern literature course i took as a college freshman, it's stayed with me for a long time. 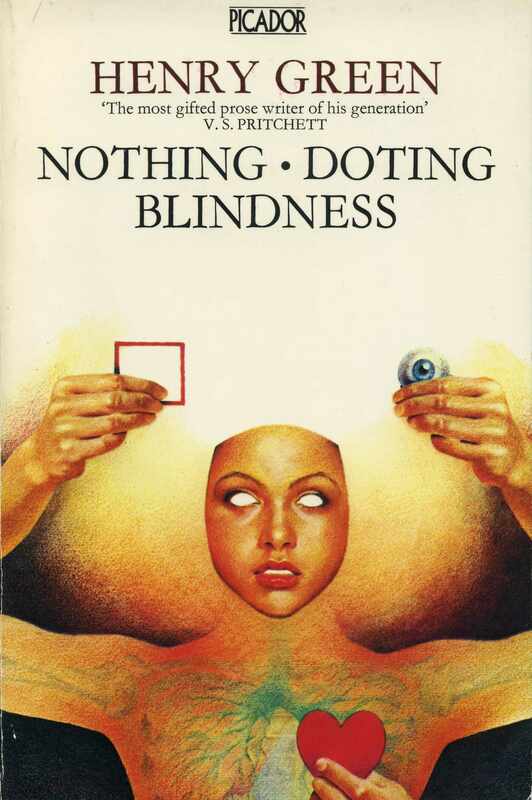 Concluding, Blindness, Loving, Party Going -- all masterpieces, even the one that isn't a gerund. read Doting bcz I hadn't and it was lying around. Damn, there's something about him, really - there were stretches where it felt like a fine but nothing-special mid-century English social novel (handled with neat formal tricks) but then these moments where it's utterly bleak and death-ridden, pulls away into into a void staring at the pointlessness of its own action. I'vve reading Brighton Rock after tearing through Our Man in Havana and The Ministry of Fear. the first sentence and the last of ‘brighton rock’ are among the greatest of my reading life. "She's a nice girl I agree yet I also know she's not nearly good enough for you. What are we to do about it, that is the question?" "To be or not to be Mamma." "Philip don't dramatise yourself for heaven's sake. This is no time for Richard II." wow found out last week that Vintage had done 3 collections of his novels. Looked him up on amazon after seeing a separate single novel on the shelves of the local 2nd hand/remainder shop last week. Went back in to look at the shelf to see if it was there, or maybe to look at the more current edition stuff. But did go and look at where i saw the book last week and found a collection there instead Loving, Living, P:arty Going and it was teh same price as teh single thing which was gone. 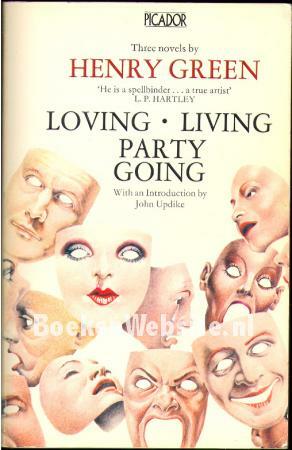 There are two three book Green collections, issued by Picador in the UK to begin with - the Living Loving Party Going set seems to be pretty common, the Nothing Doting Blindness one not so much. Unless Picador didn't publish this? Yes, looks like they didn't, that's weird. "Passing through this he shuddered, a sense of foreboding gathered in him. What will they grow up to he thought in mind — they'll work, they'll marry, they'll work harder, have children and go on working, they'll die. He shuddered. Then he forgot all about them and thought about himself". Is that LIVING? It's great.